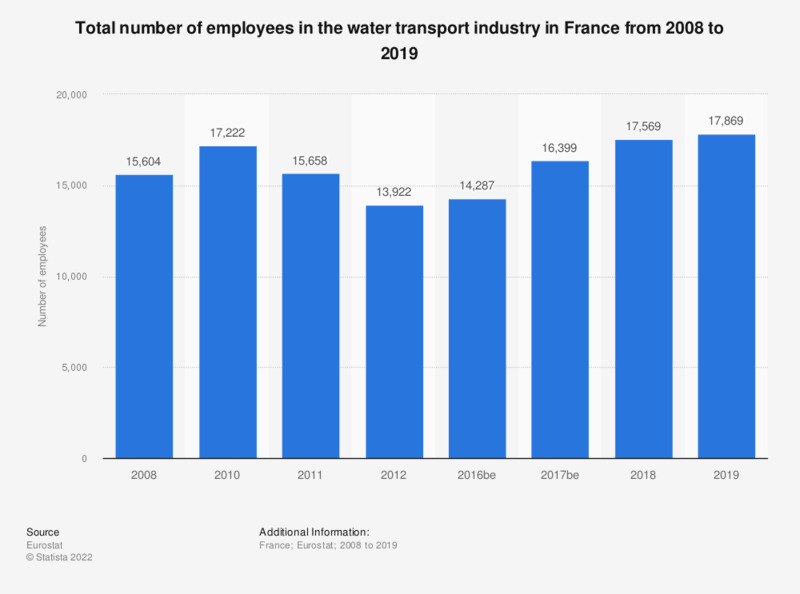 This statistic shows the total number of employees in the water transport industry in France from 2008 to 2012. In 2012, the water transport industry employed a total number of 13,922 people. Data coverage corresponds to code H50 of NACE Rev 2. Statistics on "Transport industry in France"